A Sheffield teenager missing for over two weeks has still not been found – despite a new police appeal for information on her whereabouts yesterday. Detectives investigating the disappearance of 16-year-old Pamela Horvathova revealed yesterday that they do not believe the youngster has come to any harm. They suspect she remains in Sheffield and is ‘staying with individuals’ but until she comes forward to confirm her safety she is being treated as a missing person. Pamela was reported missing to the police on Christmas Eve but had not been seen at that time since Friday, December 21, when she was in the Staniforth Road area of Darnall. Since then there have been a number of reported sightings of the teenager, with detectives satisfied that some recent ones were of Pamela. Detective Chief Inspector Lee Berry, who is overseeing the investigation, said yesterday: “Since Pamela was reported missing on Christmas Eve, we have had a number of officers dedicated to following up all available lines of enquiry in a bid to locate her safe and well. “This investigation has since expanded to include detectives and response officers, as well as putting me in place as senior officer to review the investigation. “Based on all our activity so far, which includes scouring CCTV, speaking to family, friends and acquaintances, visiting numerous properties across Sheffield, conducting enquiries on possible telephones and bank accounts associated with Pamela, we are fairly confident that she remains in Sheffield. “We believe she is staying with individuals and while she does not appear to have come to any harm, until our officers physically locate Pamela and confirm she is safe and well, we will continue our search to find her. “We’ve had several reported sightings of Pamela in Sheffield since she went missing, the most recent being reported in the last couple of days. We are comfortable based on the information received that the sightings are of Pamela. “However, I’d reiterate our appeal for any information about Pamela’s whereabouts and I’d urge anyone who knows where Pamela might be staying to get in touch with police. At the time of Pamela’s disappearance, she was wearing a long-sleeved, red, crop top from Primark, blue jeans and black trainers. 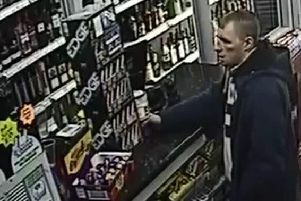 Anyone with information should call South Yorkshire Police on 101, quoting incident number 941 of December 24.